owls about that then! : Round 2. As any regular followers of this blog may know my time with the local owls is not just about going out and taking images. Yes that does take up a lot of my time and I thoroughly enjoy it but that really was a by-product of the main objective which was to monitor numbers and then encourage population growth. So far nearly 100 nest boxes have been made and erected, in the early days the majority of them were Little Owl boxes. But in time I learnt the fact that the local Barn Owl numbers were very sparse indeed so the main focus moved over to them and suitable boxes were also made and erected. Prior to the breeding season there was potentially 4 different pairs that may use one of the boxes, but the horrid weather conditions put an end to that and only one pair bred successfully. Luckily the box that was used had a camera in it so we were able to monitored closely the whole saga, right from the laying of the first egg on March 21st right through to the four juveniles finally fledging in mid July. So after the youngsters had left the nest there wasn't any reason to continue monitoring via the cam as all I'd have been watching was an empty box! So when a quick check via the cam yesterday revealed not an empty box but one of the owls day roosting it wasn't really a surprise, (image below). But hang on a minute, when they roost they are normally standing up, this bird was laying down? I continued to watch, then after a few minutes of doing nothing up she got to reveal her prize possessions...........7 EGGS!!!!!! 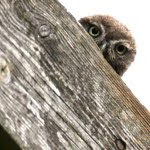 It is brilliant news that these owls have gone for a second clutch, they alone are doing their bit for boosting the local population, all we can do now is keep our fingers crossed that all goes well and the weather is kind to them. I will update on any significant developments. Fingers crossed for that damn weather. Thanks for your comment Johnny, I'm praying for no rain for the next two months! Wow that is really late in the year, for a second clutch, any idead how long ago the eggs were laid. 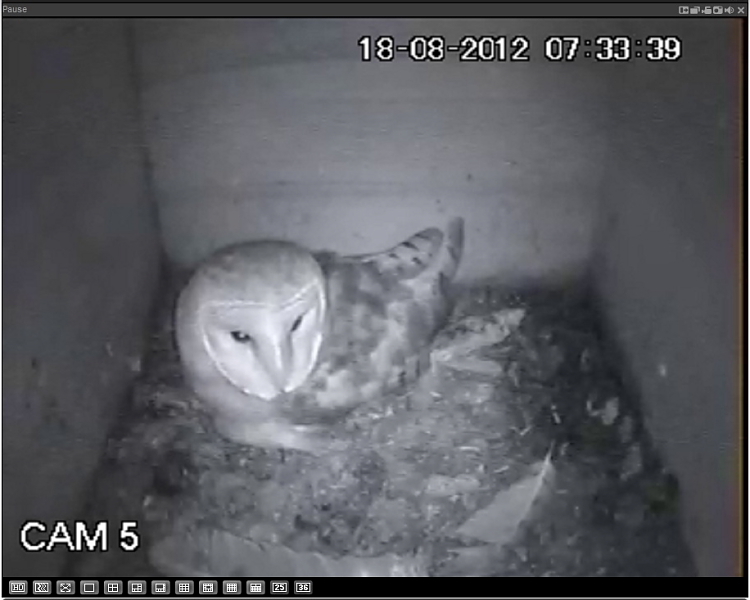 Hi Doug, Glyn (the gamekeeper) told me went up to clean out the box on the 17th he found her on six eggs. I checked her out on the 18th and she had laid another overnight making it 7! Working it out backwards and on the asumption of her laying an egg every other day my calculations tell me her 1st egg was laid on or abouts the 6th. 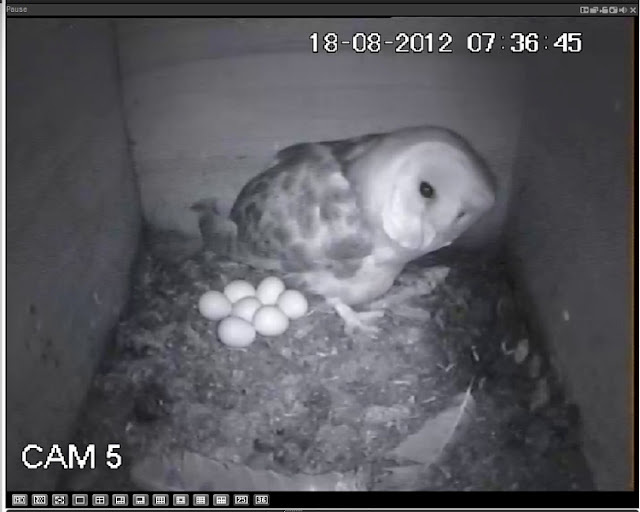 So the 1st egg should be hatching around the 8th of Sept, fingers crossed! That is awesome!!! Hope she has some success! Thanks Tammy, yes all my fingers are crossed that all goes well! Brilliant news Paul. I recently heard the tell-tale hissing from a barn local to me, and sure enough, a moment or two later, I spotted the adult in the field, hunting at 6pm. Seems like a second clutch here too. I'll be very interested to hear of these developments. 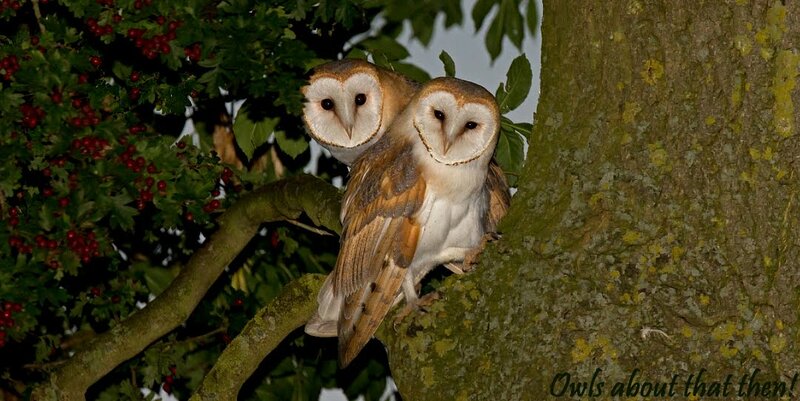 Yes it is amazing how much wildlife that can be located by just listening, especially owls! Nice one Christian. Seven - that's amazing Paul!! They're going to have their work cut out if they all hatch! Fingers crossed. Yes very true Richard it would be tough going trying to provide enough food for all of them in the spring, let alone late summer! Messing about in the water!